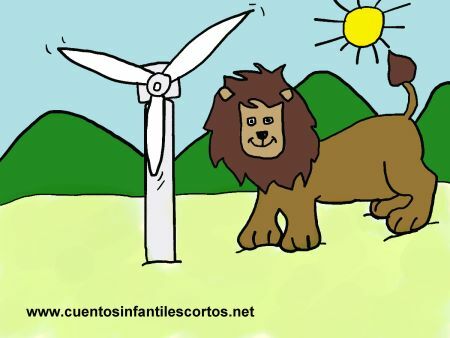 That gave Simba an idea, and he decided to help one of the most powerful renewable energies in the world: wind power. So he went round all the countries in the world roaring with all his might to create a great wind that would help men use more renewable energy. In the end, Simba succeeded in getting mankind to stop using petrol, and the African savannah recovered completely.